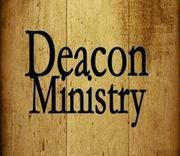 List of Mintz Baptist Church Deacons for 2018-19 church year. 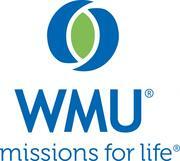 Women’s Missionary Union challenges Christian believers to understand and be radically involved in the mission of God. 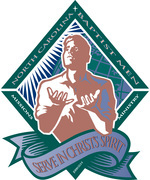 The mission of the Men's Ministry at Mintz Baptist Church is to provide men with the resources to develop Godly character and help equip them to influence their world for Jesus Christ. There are many names that the Senior Adults at Mintz Baptist Church could be called, but we choose to call them VIP's. Because to us, they are VERY IMPORTANT PEOPLE. The VIP group at Mintz loves to study God's word and firmly believes in prayer without ceasing. They are a hard working group of men and women that refuse to slow down. They are actively involved in every ministry and activity within the church body. They love to serve God by serving others. Once or twice each year they organize and coordinate a huge church-wide yard sale. They sort through all the donated items, clean them, price them and then sell them. The event is always a huge success with all the profits going to help ministries or needs within the church. It is truly a labor of love. 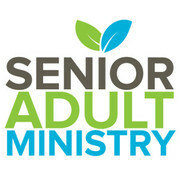 Another annual event is Senior Adult Sunday. This takes place each year in May and is an entire Sunday morning service dedicated to and led by our VIP's. It is always a great and inspiration time for the whole church family. The youth group at Mintz consist of around 30 youth in grades 7-12. We meet every Wednesday night at 7:00 PM for Bible Study. We also meet 2 Sunday afternoons each month for more in depth specific studies. Previous studies include the Book of Genesis, the Book of Revelation, The True Love Project, Counter Culture and others. We are currently doing the new study by Louie Giglio entitled Goliath Must Fall. The youth at Mintz also enjoy spending time with each other doing fun activities as well. Previous activities include football games at both NC State and ECU, volleyball games at Methodist University, bowling, dinner and movie nights, water parks, state fair, Tim Hawkins, Casting Crowns & Newsboys concerts, Winterfest at Liberty University and a host of other fun events. Our current favorite thing to do is to play ping pong on our new ping pong table. In addition to those events the youth also goes to summer camp for a week in July. We rotate between organized camps like Centrifuge & M-Fuge and retreat style camps where we go to a specific location and spend the week together. In July 2018 they went on a mountain retreat in Gatlinburg, TN. Our youth also takes part in various mission projects. We have worked at the local food bank and participated in a local mission camp called Illuminate. We have also hosted an international mission event called The 30 Hour Famine. Whatever we are doing, we love doing it together. We are a family and love spending time with each other. If you are looking for a fun, friendly bunch of youth to be a part of, then look no further you found it. The children's department at Mintz is a very active and energetic bunch of kids and leaders. This group consist of children from preschool age through the 6th grade. Activities for the children include Sunday morning Sunday School and Children's Church, as well as Children's Choir and special bible studies on Wednesday night. There is also an event called Mintz Outdoor Zone that meets the third Saturday morning each month. The children at Mintz also partake in annual events like trunk-or-treat, a kid's Christmas production, VBS and summer camp (CentriKid) at Campbell University. Plus a host of other seasonal activities. Jesus said to let the little children come to Him and at Mintz we believe that leading a child to Christ is a priviledge and a priority. The music department at Mintz consist of talented musicians and singers, and music opportunities are available to members of all ages. The Adult Choir sings every Sunday morning and leads our congregation in worship through song. They also perform musicals/dramas at both Easter and Christmas. 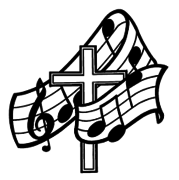 Our choir consist of members from youth age through senior adults. And all are welcome and encouraged to sing in the adult choir. There is also a Children's choir that meets to rehearse on Wednesday night. They sing in church about every six weeks. They also perform at Christmas and other special holidays. Mintz also loves gospel music and host a few concerts each year. Artist that have previously performed at Mintz include Brian Free & Assurance, The Mark Trammell Quartet, The Whisnants, The Kingsmen, 11th Hour, The Littles, Tim Lovelace, Pat Barker and others. At Mintz we believe that music is a great way to worship and we are thankful for the gift of music and the ability to lift up praises to our Savior. Sewing Seams for Christ is our ladies sewing group. The group was first formed at Holly Grove Baptist Church through Illuminate. They meet on Monday mornings in the Mintz Baptist fellowship hall. These ladies are missionaries here at home and as far as Haiti. They are dedicated, hard working women called to a mission. They have met for more than twelve years, and they are well organized. They share various jobs – sewing, cutting, pressing the garments and adding the finishing touches. Over the years, they have sewn thousands of shorts and dresses for the children of Haiti. In September 2016, a lady from the Eastern Baptist Association traveled to Haiti to deliver their newest shorts and dresses. The clothing provided year round garments for the Haitian children due to the warm climate. 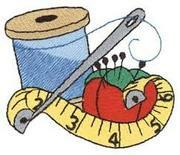 If you are interested in learning more about Sewing Seams for Christ, or you wish to donate cloth or money, please contact Mrs. Jean Wilkie in the church office – 910-564-6500.